Why did God write us a book? I’m talking of the Bible of course—his love letter to humanity. Although, the other day I was reminded, God did not create the masses, He created individuals. Story appeals to the individual. Details swirl around the heart of the reader, touching memories of their own lives, their own dreams and desires. A plot line strikes a chord of something from their own past, or of a place they’d like to go in the future. Or the danger within a story reminds them that God has indeed protected them well and kept them from such perils. I like a good love story with danger lurking, a plot where the hero and the heroine must sacrifice ALL to win the day, and a really romantic kiss at the end. On the other hand I like a nice gritty murder mystery. It just goes to show the complexity of the human mind, the individuality. God uses story to point us to Him. The Bible is a whole library. Through each line He speaks to us on an individual basis of what we need in our lives. And yet I notice that in the world of human fiction there is always a germ of truth that points us to God. The world is full of books. The classics, pulp fiction, fairytales. But within all story, there rings the truth of sacrifice. Have you ever noticed--in all good stories—Christian or not—the key element is sacrificial love. All stories in one way or another point out to all individuals what one man, Jesus Christ, did on the cross for them. 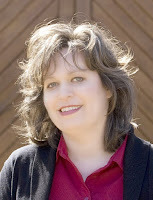 Today I'm reviewing the debut novel written by a writing friend, Melanie Dickerson. The Healer's Apprentice. It too is a story that clearly points to the sacrificial truth of what the Lord did for us. 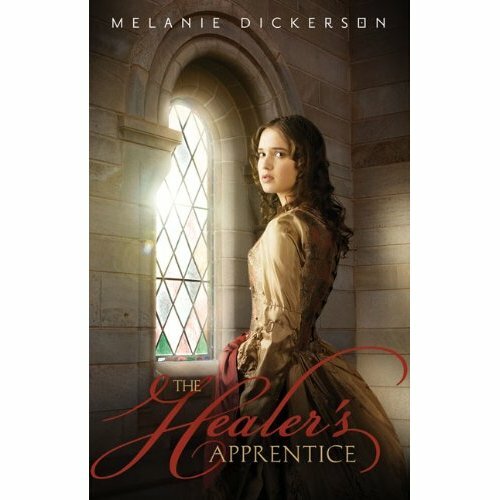 The Healer’s Apprentice by Melanie Dickerson is a delightful teen fiction, published by Zondervan. One I heartily recommend to my young nieces of 13 and 14. But I wouldn’t stop there. Grandma would love this book too. The author has taken a beloved fairytale—Sleeping Beauty—and added layer upon suspenseful layer as skillfully as a snowfall onto this old favorite. Rose, the daughter of a wood cutter, is learning the skills of healing when the eldest of the Duke’s sons, Lord Hamlin, has been attacked by a wild boar. Rose reaches deep for courage and tends his wound. There starts a gentle romance, but one that is thwarted from the start. Lord Hamlin is already betrothed. Danger lurks in dark shadows. Lord Hamlin searches for the villain who threatens his betrothed and his future dukedom, taking him away from Hagenheim Castle, and away from the temptation to fall in love with Rose. While he is away Rose is wooed by Lord Hamlin’s younger brother. 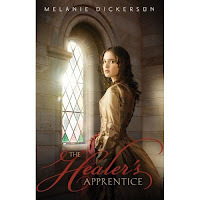 The setting of Healer’s Apprentice in medieval Germany comes alive with the historical detail. Castle towers, secret entrances, cobble-stone courtyards, dukes with richly brocaded doublets, duchesses with pearl encrusted gowns, and the intricate details of healing in that century. Melanie Dickerson has created a story that will appeal—and be pertinent—to any young girl who must make those difficult choices, purity and loyalty and sacrifice in the face of temptation. I hope you'll check out this book, and check out this wonderful author who has such a gentle heart for God. Click here to go to Melanie's website.